A new public shelter for stray domestic animals in Valencia’s La Ribera region has pledged to adopt a policy of “zero sacrifice” of healthy animals, joining a growing movement among local and regional governments across Spain to opt for sterilization and adoption as a humane alternative to the still-widespread practice of extermination of stray pets when animal shelters become too crowded. The new shelter in Alzira is being built at a cost of 453,000 euros with the support of 32 of the 47 municipalities in Valencia’s Ribera Alta and Ribera Baixa regions and is expected to house between 150 and 200 animals at capacity. According to the consortium of municipalities of La Ribera, the shelter will only ever sacrifice seriously ill or moribund animals on humanitarian grounds and never as a means to relieve overcrowding at the shelter. The practice of exterminating animals for reasons of overcrowding remains widespread in Spain, though four regional communities — Madrid, Catalunya, Murcia and Galicia — have joined the growing “zero sacrifice” movement and adopted legislation that only permits extermination of domestic animals or health and humanitarian reasons. In other regions, such as the Canary Islands, some municipalities are moving forward on their own to legislate zero sacrifice by shelters in their local areas. One of the sticking points for more local and regional governments adopting zero-sacrifice legislation and policies appears to be financing for building more shelters, with cash-strapped municipalities requesting guidance and demanding financial support for construction of public shelters with zero-sacrifice policies similar to the new shelter in Alzira. In Valencia, meanwhile, the Ribera regional shelter may mark the beginning of a trend, if legislation stalled in the Valencian Cortes since earlier this year moves forward. 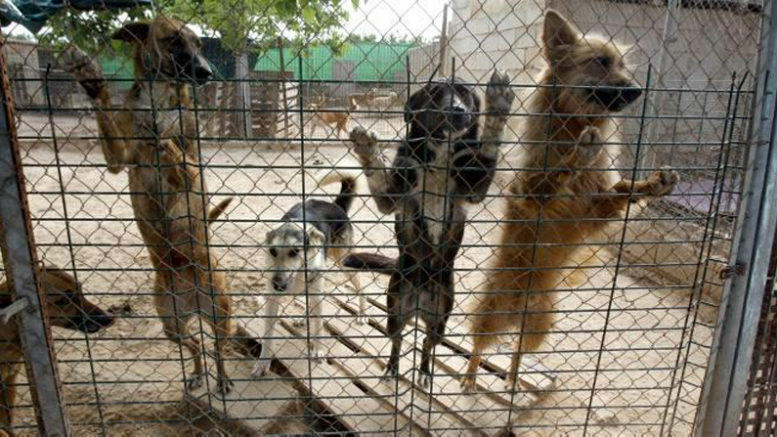 If approved, the new law would prohibit sacrifice of domestic animals by shelters except for health or humanitarian reasons across the entire Valencian community, though the legislation would give shelters two years to comply — prompting criticism by animal-rights party PACMA and others that thousands of stray pets could be sacrificed during the implementation period.